So if you haven't already seen on Instagram, I've created a little plan for myself as to what I'm going to post and when. 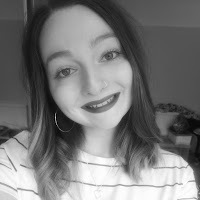 What with uni being a little crazy this year, I'm hoping to do a blog post at least three times a week; on Monday, Wednesday and Saturday. Mondays have already been named #manimonday so that helped me figure out what to do therefore (hopefully) every Monday, I'll be posting an original mani of my own. 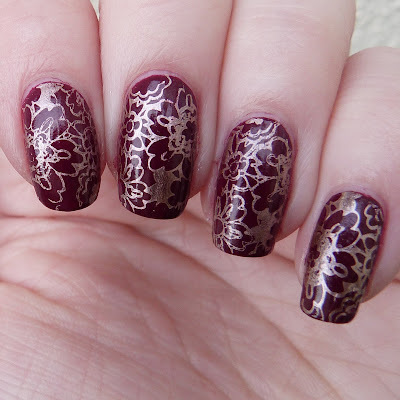 Wednesday's will be #recreationwednesday so I'll post a recreation of a mani by someone else! This is the day I'm most excited about as I just looove looking through other people's blogs and Instagrams for inspiration. Finally, Saturday's will be #swatchsaturday which I'm sure you can figure out means I'll be posting swatches! This obviously all helps me figure out what I'm doing but I hope it also means you can get excited about what I'll be posting. Anyway, onto today's post! As I got some of the Models Own Chrome polishes for Christmas I decided I really wanted to do some stamping with them so I chose Sprint Finish from Barry M as my base and decided to stamp with Chrome Rose. As you can probably tell I'm definitely still figuring out this stamping business. 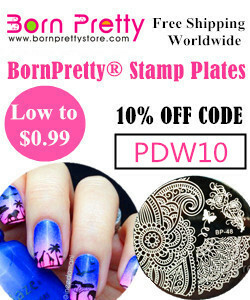 I had some serious problems getting the polish to transfer from the plate to the stamper and at present, I am still very confused as to why sometimes it works and sometimes it doesn't. I used the MoYou London Pro Collection 07 plate and my MoYou Marshmallow stamper. I absolutely love both of these polishes but stamping really let me down on this one. Chrome Rose is a polish I've been trying to get for absolutely ages but it was always sold out online and the Superdrug near me didn't have it either so I've very pleased I finally have it, I've got a lot of plans for it! I'm obviously thinking about doing swatches of my Models Own polishes but I'm waiting for the moment as last week I won TEN polishes from Models Own on Instagram and they haven't arrived yet. When they do I'll see what they've given me and then maybe buy a couple more in the 50% off sale they currently have online! Hopefully soon there will also be some changes in photographs on my blog as the other day I made my own light box following this tutorial from @kellimarissa and I have a daylight bulb on the way for my lamp! I know it's taken me a while but I got there eventually! Let me know what you think of these nails and I'll be back on Wednesday!